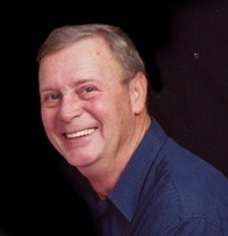 James Earl Silcox, 68, of Dayton, died Saturday afternoon, February 9, 2019, at his home. Jim was born in Dayton on Feb. 22, 1950, the son of the late Joseph Herman Silcox and Laura Agnes (Lambert) Silcox. Jim attended Rhea Central High School until entering the US Army. Jim served his country for five years, serving in Germany and Viet Nam. While in Viet Nam he was exposed to Agent Orange which severely affected his health. After his military service Jim earned his associate degree at the Mckenzie School of Business. Jim was employed with the City of Dayton for 10 years until moving to Cobb County, GA where he retired as a code enforcement officer. He was a member of the Vine Grove United Methodist Church and was also an ordained United Methodist minister. Funeral services for Jim with military honors will be held Monday, Feb. 11, at 7 p.m. in the funeral home chapel with Johnny Russell providing the eulogy. Jim will be laid to rest in Rhea Memory Gardens Tuesday morning. The family is being cared for by the Vanderwall Funeral Home where they will receive friends Monday after 4 p.m.